DC's Legends of Tomorrow -- "Last Refuge"-- Image LGN112b_0259b.jpg -- Pictured: Wentworth Miller as Leonard Snart/Captain Cold -- Photo: Dean Buscher/The CW -- ÃÂ© 2016 The CW Network, LLC. All Rights Reserved. I, too, am a fan of Challenge of the Superfriends, and since the last season of Smallville, we’ve been teased with a live-action Legion of Doom. Holy crap, it’s going to happen. IT’S GOING TO HAPPEN! Well, sort of — they’re villains we’ve seen across the Arrowverse, but that doesn’t mean there can’t be more coming. Warner Brothers announced tonight details about season 2 of DC’s Legends of Tomorrow, and they’re as fun as we all could have expected from that cliffhanger reveal of Hourman at the end of Season 1. 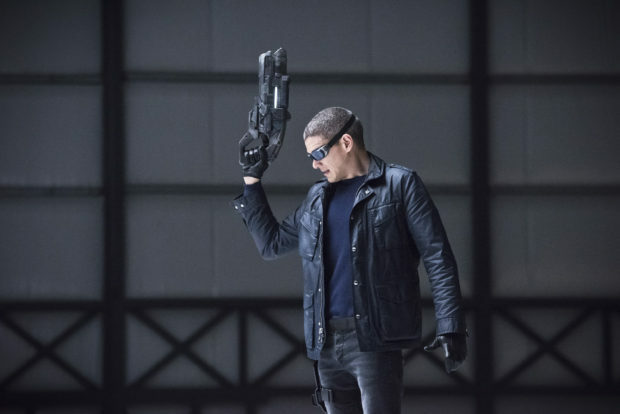 Clearly, it’s going to be a different version of Captain Cold, but it’s still Wentworth Miller, and that’s going to make some great dramatic tension with the seemingly “good” Heatwave, played by Dominic Purcell. Warner Bros. Television’s Super Hero team-up series DC’s Legends of Tomorrow (Thursdays 8/7c The CW) is amping up the firepower for season two by enlisting both a league and a legion of new characters to join the legendary crew of the Waverider as they embark on a new mission for the upcoming season. While some faces may be familiar to viewers of The CW’s DC Universe, others hail from the DC Universe of comics. 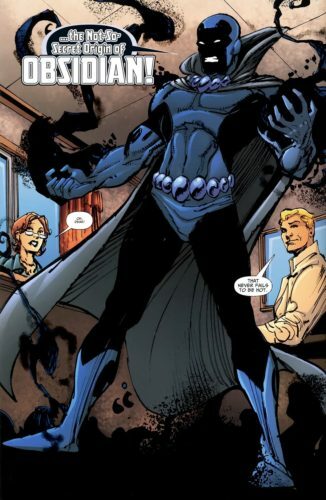 In the season one finale, the legendary heroes encountered Rex Tyler aka Hourman (played by Patrick J. Adams – Suits) who issued a dire warning. It was to be their first encounter with a member of the Justice Society of America. 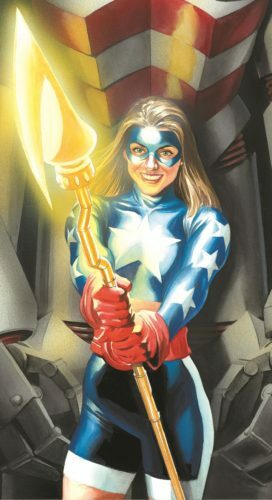 During a Comic-Con 2016 panel on Saturday, July 23, the show’s executive producers and cast revealed that some of Tyler’s fellow JSA members would soon be making an appearance on the series. 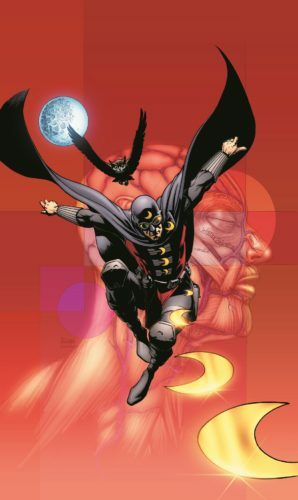 Some familiar faces to fans are the yet-to-be-cast roles of Obsidian, Stargirl and Dr. Mid-Nite. And yet, for every force of good in the DC Universe, there stands in opposition a force of darkness. With the introduction of new heroes, the producers also announced that the Legends of Tomorrow would also be facing off against TV’s first-ever team of Super-Villains: the Legion of Doom, who fans will recognize as Malcolm Merlyn (John Barrowman), Damien Darhk (Neal McDonough), the Reverse-Flash (Matt Letscher) and Captain Cold (Wentworth Miller). 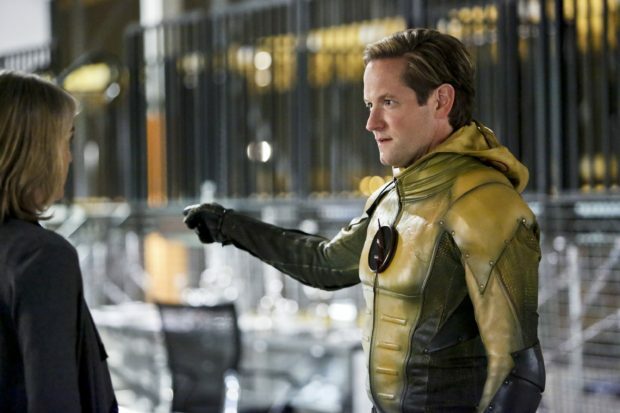 Matt Letscher, who played the Reverse-Flash/Eobard Thawne on The Flash, will join DC’s Legends of Tomorrow as a series regular. Deals with Wentworth Miller and John Barrowman were announced earlier this summer, allowing their characters to appear across multiple shows, and Neal McDonough’s Damien Darhk character will now have a recurring role on DC’s Legends of Tomorrow. 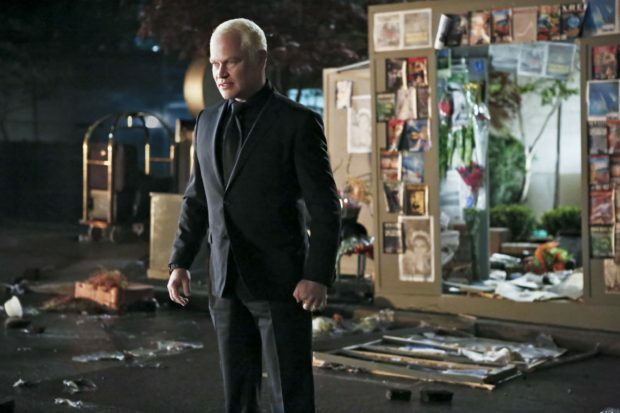 Arrow — “Schism ” — Image AR423a_0142b.jpg — Pictured: Neal McDonough as Damien Darhk — Photo: Bettina Strauss/The CW — ÃÂ© 2016 The CW Network, LLC. All Rights Reserved. 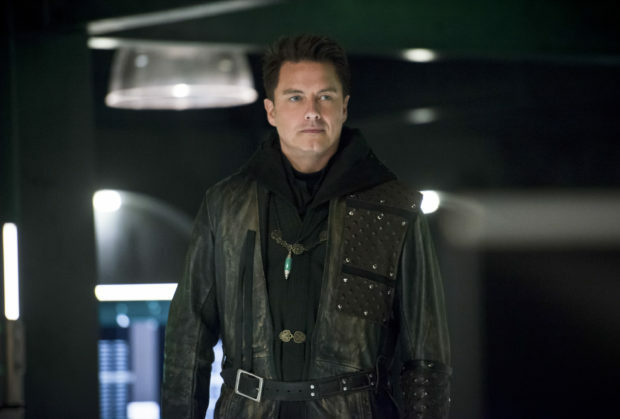 Arrow — “Eleven-Fifty-Nine” — Image AR418b_0100b.jpg — Pictured: John Barrowman as Malcolm Merlyn — Photo: Diyah Pera/The CW — ÃÂ© 2016 The CW Network, LLC. All Rights Reserved.